DigiSol Technologies provides IT consulting and outsourcing services to clients globally as partners toconceptualize and realize technology driven business transformation initiatives. 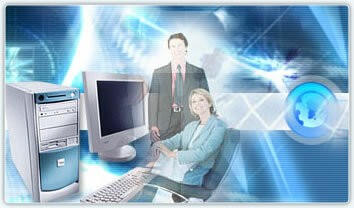 We use a low-risk Global Delivery Model (GDM) to provide IT solutions adhering to world-class quality standards. We have marketing and development offices in US, UK, and India to offer cost effective IT solutions using an optimal mix of onsite, offsite and offshore services. Our consulting services bring you best practices, domain knowledge, technical competence and business models that help you being flexible and adaptive in this increasingly competitive environment. We help you take benefit of new opportunities to improve your business processes and make them more responsive to the dynamics of business. DigiSol Technologies is a diverse end-to-end IT solutions provider, offers a range of expertise aimed at helping customers re-engineer and reinvent their businesses to compete successfully in an ever-changing marketplace.